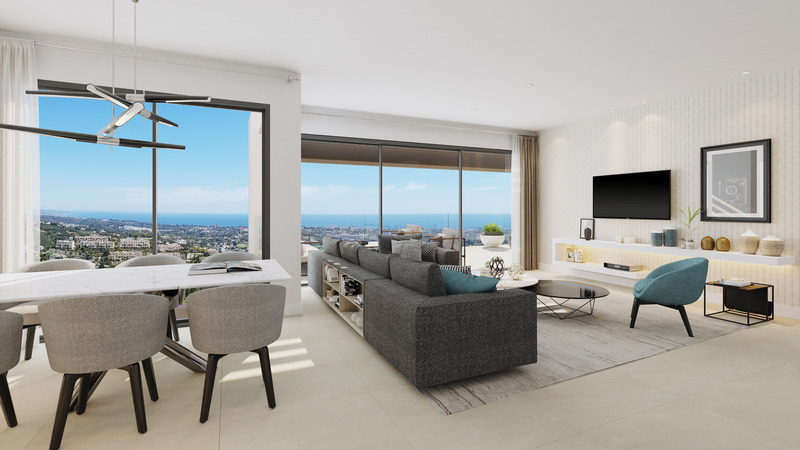 It is a unique development of refined two, three and four bedroom apartments and penthouses with spectacular south facing orientation and sea views offering the latest in technology and design. 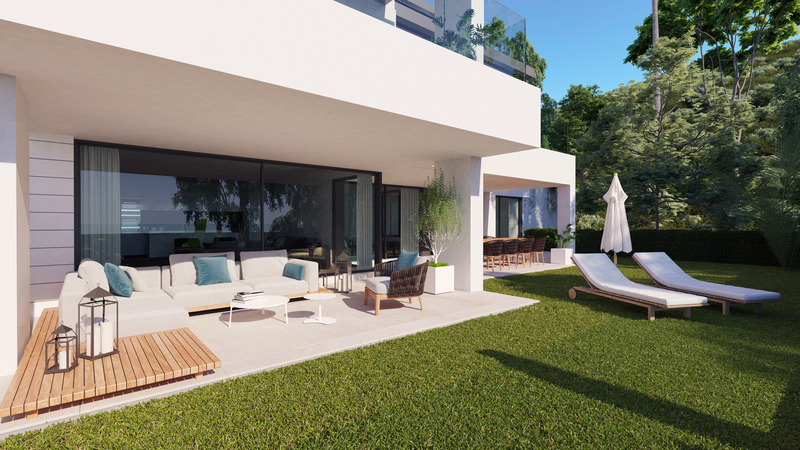 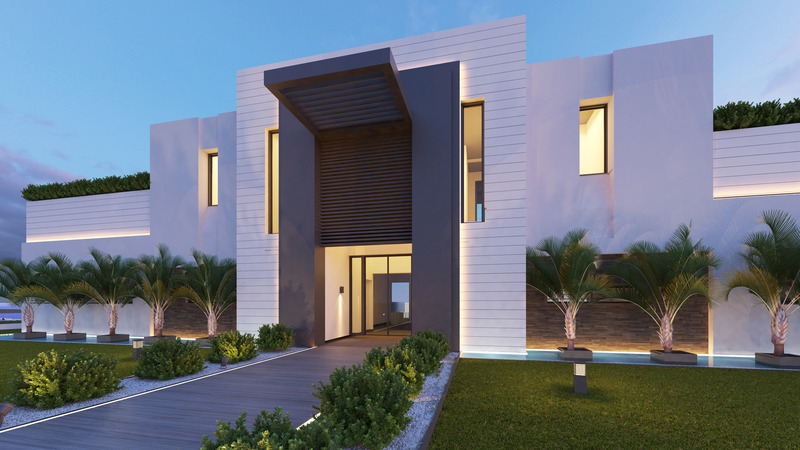 This exclusive luxury development comprises of 2 sub- phases on separate plots, the Residences and the Collection, with each intimate building surrounded by peaceful Mediterranean gardens for privacy. 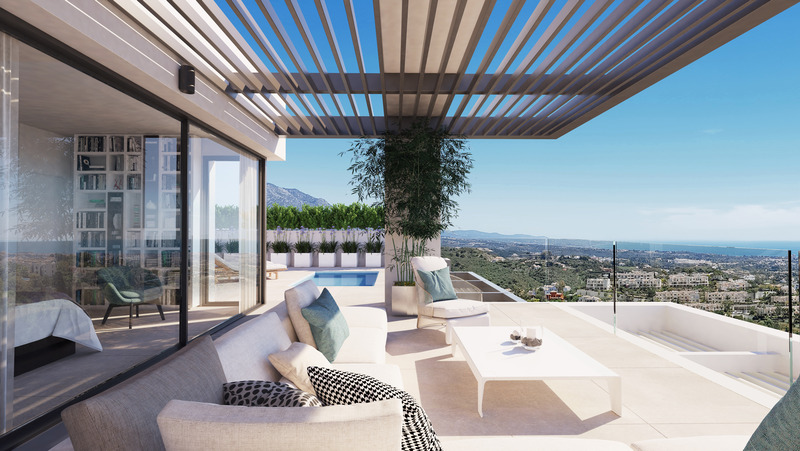 The Residences boasts two large infinity pools as well as an indoor heated pool, whilst nearby the select Collection features an additional large modern shaped swimming pool where you can relax in the tropical gardens enjoying some fabulous views from the elevated position. 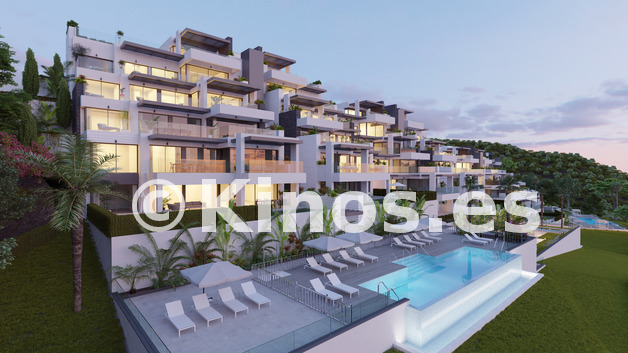 As expected in a development of this caliber you can maintain a healthy lifestyle and keep your body and mind fit in the fully equipped gymnasium located in the communal area of the Residences. Perfect as your brand-new luxury home on the Costa del Sol or an excellent investment opportunity it boast an enviable location with gated access for security and underground parking for your convenience as well as private parking for guests.The elegant and stylish Residences are available as two, three and four bedroom apartments and comprise 50 apartments across five South facing buildings which fan out providing independence from each other, ensuring complete privacy. 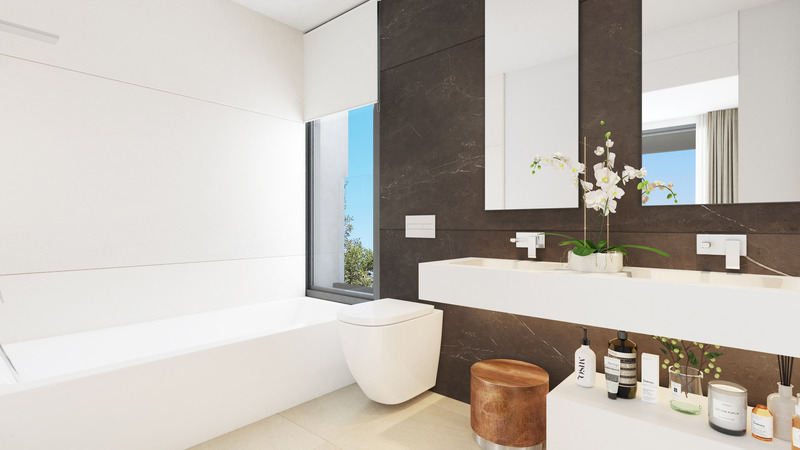 The four bedroom apartments are penthouses each served by three full bathrooms. 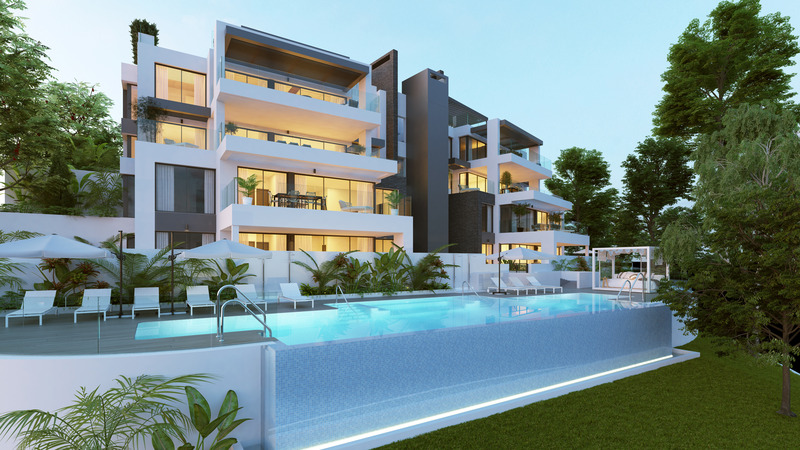 Two and three bedroom apartments boast two bathrooms and are on the central and ground floors. 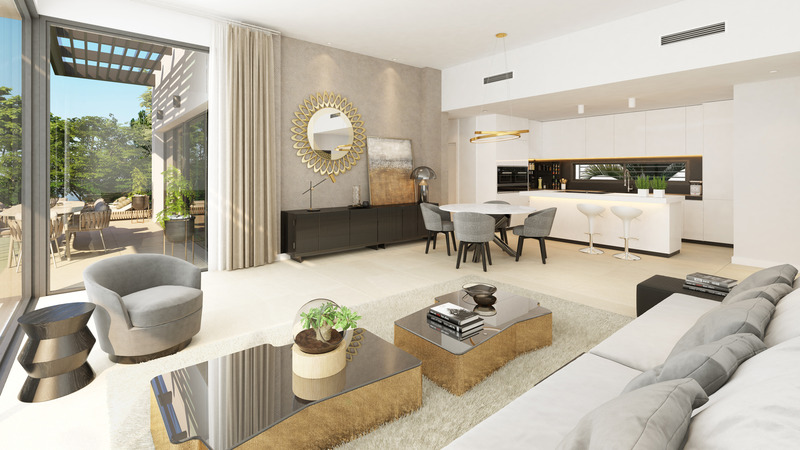 Light, spacious open plan interiors are both modern and neutral in tones letting natural light flood in. 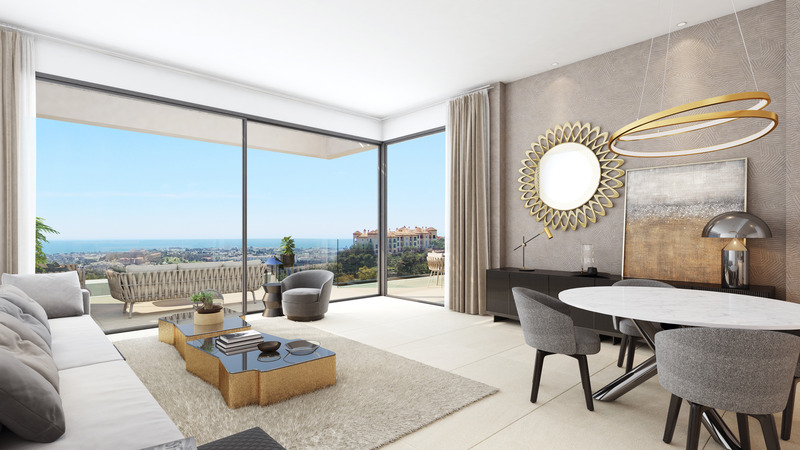 All bedroom’s feature high quality fitted wardrobes and lead out to expansive terraces which enjoy spectacular views of the Mediterranean. 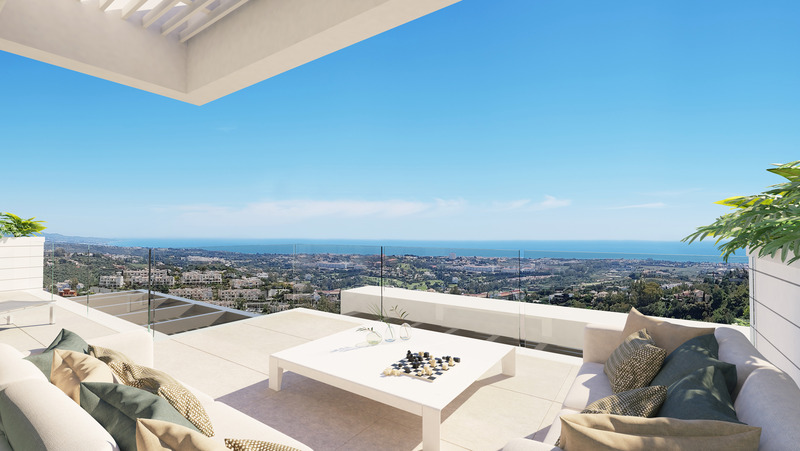 Penthouses feature a large stylish rooftop solarium with a private plunge pool and fitted barbecue, perfect for enjoying a luxury lifestyle in the fantastic climate here on the Costa del Sol. 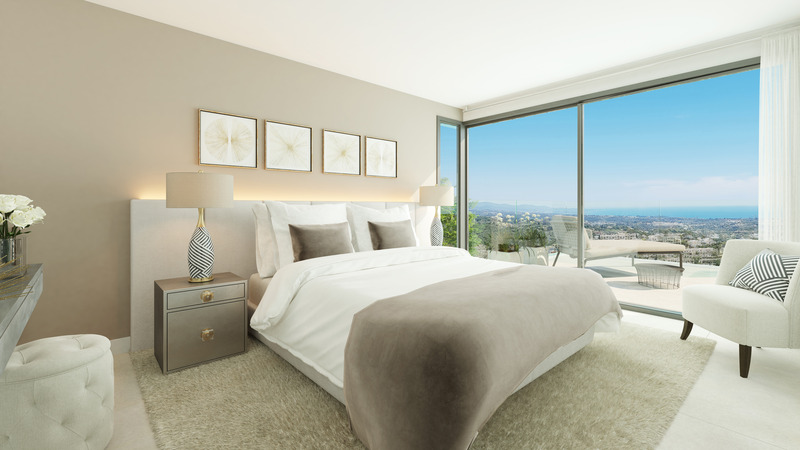 The fourth bedroom located on the solarium can be adapted to suit your needs, whether this be a splendid master bedroom a summer lounge, or even a studio apartment ideal for family or friends. 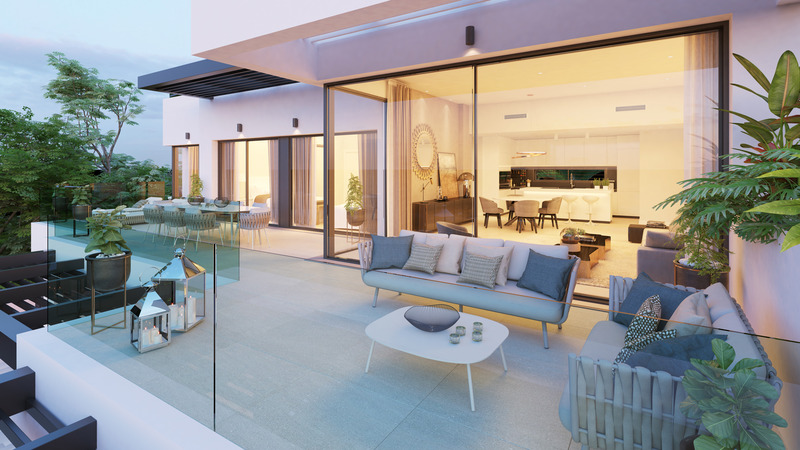 There is an emphasis on outdoor living in this exclusive development with spacious terraces or beautiful gardens leading from both the master bedroom and living area depending on the configuration you choose.